Personally I'm of the mindset that if I'm doing an engine swap, especially one drastically different than what came in the car, its not going to be a "like oem" affair. Any car I'd put effort into putting a 6g72 into would be highly modified so making chassis changes to fit everything and doing things like relocating cooling components would be done happily. That being said I don't know much about the motor so I really can't talk about anything specific to change. A 6g72 swap and rear radiator setup would be sweet though. I did think about doing a rear radiator setup on my current car but I couldn't justify it after all the work I put into my v-mount setup. Speedy think of this. Get a 6G72 74, what have you. Call Bill Hincher and see about a trans adapter. Get a 300zx trans. They are pretty stout and hold decent power plus it's close to the configuration type of engine (v6 close in displacement) and see about using one of those. Easy to find, cheap. Bill, what measurements are you gonna need? From where to where? 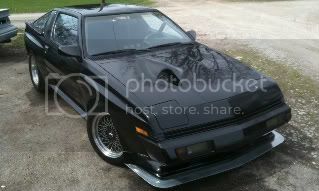 Get a 6G72 74, Get a 300zx trans. Edited by Bill Hincher, 25 November 2015 - 07:34 AM. Bill, have you ever thought of making motor mount adapters? Such as an adapter plate for a ford or chevy small block? Damn Bill. Really nice work. Would like a JZ/r154 trans mount at some point also! Bill, do you have an apprentice? Great idea but starter location? What about making a billet "crank extension" piece like a solid wheel spacer. Balance the rotating assembly to match of course. Then make a adapter plate with threaded portion for starter mounting? It's been a while since I have worked on a 6G motor and a VG series engine. What about other transmissions? Why not just go super old school and hand crank the motor lol. This jig is incredible. I would also be in line for a JZ/R154 or W58 package. not quite certain what you are asking about, do you meant the 2jz? Havent exactly had time to read everything I will later on tonight but... Do you offer a g54b block to a v160/ v161 bellhousing kit?? That frame jig you made is very intense!! Certainly would make the 63 swap very easy and a very cost effective.. Surely you have considered it. Thats definitely a good thought quikconq, thats something I'd definitely look at when deciding on an engine swap. The narrow block motors are all over the place.